After philosophizing (is that a word?) Walter Slezak crosses the Embarcadero to leave San Francisco by the Ferry Building in ‘Born to Kill’. 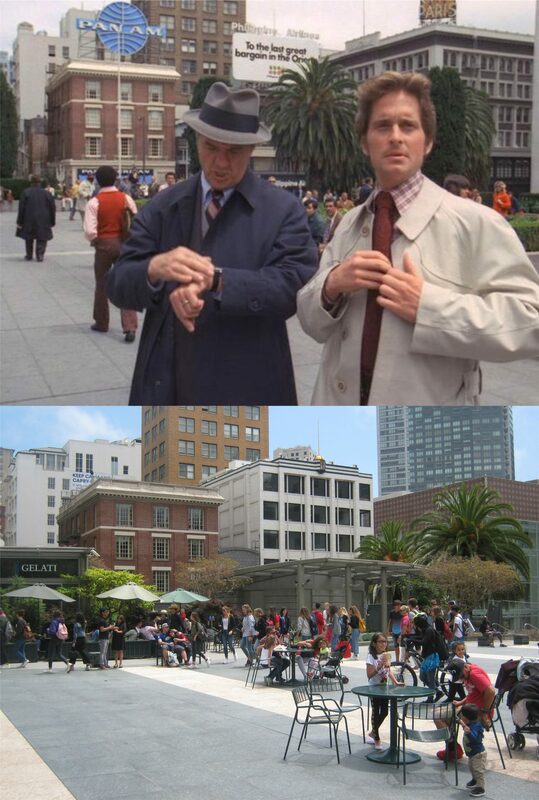 Most people arrived and departed San Francisco in the movies during the 1930’s, 1940’s and 1950’s by way of the Ferry Building because of the bustling atmosphere, and the fact that, probably, most people did arrive and depart from the Ferry Building during those decades.